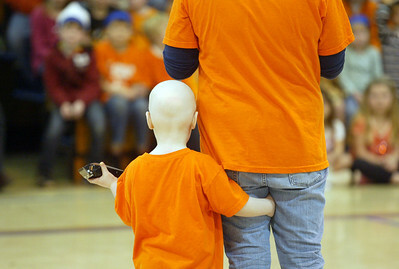 H. Rick Bamman - hbamman@shawmedia.com Sean Keller watches Zion Lutheran School students with his mom Valerie Keller before the shave-a-thon in Marengo. H. Rick Bamman - hbamman@shawmedia.com Sean Keller has Luekemia and his brother Max's teachers and class mates at Zion Lutheran School in Marengo showed their support by shaving their heads last month. 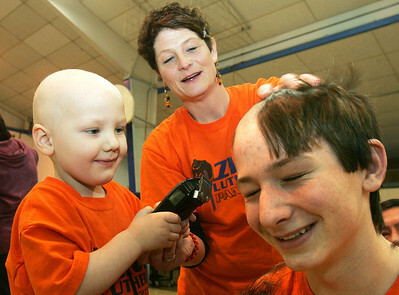 H. Rick Bamman - hbamman@shawmedia.com Sean Keller (left) with help from mom Valerie Keller clips the hair of his older brother Max Keller during a shave-a-thon at Zion Lutheran School in Marengo. The four year-old is fighting Luekemia. H. Rick Bamman - hbamman@shawmedia.com Sean Keller stays close to his mother Valerie Keller as she thanks the students and staff at Zion Lutheran School in Marengo. 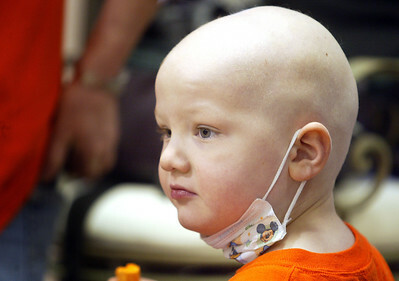 Sean has Luekemia and his brother Max's classmates showed their support by shaving their heads. Sean Keller has Luekemia and his brother Max's teachers and class mates at Zion Lutheran School in Marengo showed their support by shaving their heads last month.